Please note our meeting this month will be at a different location than usual. It’s January, which means in preparation for COSine we will be meeting at the Hotel Elegante, at our usual time of 8 pm. See the map below for directions and details. Our book will be a selection from our COSine Guest of Honor, Jody Lynn Nye. 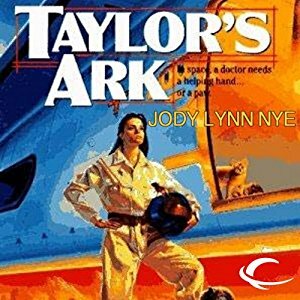 We will be discussing Taylor’s Ark (Book 1) about a an epidemic that is spreading from space colony to colony. Dr. Shona Taylor, with her team of four-legged assistants sets out to find a way to stem the killer disease.